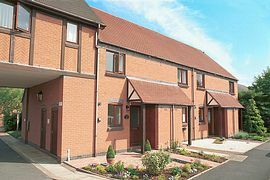 Heritage Mews is excellently located in a peaceful setting in Stratford-upon-Avon's Old Town, within ten minutes walk of the town centre, Shakespeare Houses and Gardens, theatres and excellent choice of restaurants, pubs, traditional tea rooms and shops. In sight of nearby Holy Trinity Church, the cottage is 250 yards from the River Avon, with delightful riverside walks into town and out into open countryside. The Royal Shakespeare Company's Courtyard Theatre is five minutes walk. Awarded a five star rating by Visit Britain for the highest standards of quality and attention to detail, this two bedroom self catering cottage has a secluded patio garden, free Wi-Fi Internet access and the added benefit of private parking for two cars. Downstairs off the hall is a comfortable sitting/dining room opening onto the garden. There is a Sony Bravia LCD digital TV; DVD recorder; radio/CD/cassette micro system; a small library of DVDs, videos, CDs, books and games and comprehensive information on local tourist attractions and events. A payphone in the hall takes incoming and outgoing calls. The immaculate kitchen, with Amtico flooring, is well equipped with a dishwasher, washer/dryer, gas hob, electric multi-function oven, microwave and fridge-freezer. There is a full range of dinner and tea services, glassware, cutlery, cookware, toaster, electric kettle, cafetiere and a DAB digital radio. An iron and ironing board are provided. Upstairs are two beautifully appointed bedrooms. The elegant master bedroom has a king-size five foot bed, with bedside chests, a fitted wardrobe and dressing table providing ample storage space. The single bedroom is attractively furnished with a three foot bed, bedside table, wardrobe and chest of drawers. 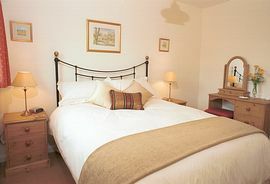 Both beds have comfortable pocket sprung mattresses, quality duvets, pillows, throws and crisply laundered bed linen. There is a radio alarm clock in the master bedroom and hair dryers in both rooms. The pristine white bathroom has a bath with thermostatically controlled shower over, toilet, washbasin, shaver point and plenty of shelving and mirrors. With fully controllable gas central heating, double glazing and luxurious fitted carpets, Heritage Mews is warm, welcoming and comfortable at all times of year. The cottage is personally managed by the owners, ensuring the highest standards of quality and cleanliness are maintained throughout. You will find a welcome tray and fresh flowers on your arrival. Five star accommodation with free WiFi and private parking. Peaceful location, a short walk from Stratford town centre. Bed linen, bath and hand towels, bath mats, kitchen and tea towels provided. To the rear of the cottage is a delightful, sunny and secluded patio garden, furnished with table and chairs for summer outdoor dining. From the garden, a gate leads directly to one of the two private car parking spaces. The second parking space is in an adjacent courtyard. Local Services: Heritage Mews is a short walk from Stratford town centre and all its attractions and facilities, including: Shakespeare's Birthplace and two other beautifully- preserved Shakespeare Houses; Holy Trinity Church where you can visit Shakespeare's grave; boating, sight-seeing & restaurant cruises on the River Avon; the Royal Shakespeare Company's Courtyard Theatre; City Sightseeing open-top bus tours; regular live music, jazz and classical concerts at several venues; award-winning daily Town Walks and Ghost Walk; Butterfly Farm; swimming pool & fitness studio; lively Friday market; and a wide variety of fine restaurants, pubs, bars, cafes and shops. There is golf, horse-riding, gliding, scenic flights and hot-air ballooning within a short drive. Warwick Castle, the North Cotswold villages of Chipping Campden and Broadway and six National Trust properties are within 15 miles. 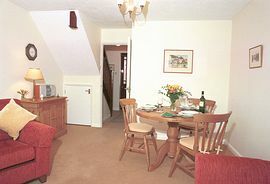 Rates are from £355.00 per week in Low Season to £625.00 per week in High Season. Prices are fully inclusive of gas, electricity, central heating, WiFi Internet access, bed linen and towels. Please visit our website for weekly rates and availability, and our Terms & Conditions of Hire. Short breaks of a minimum of two nights are available from November to Easter and at short notice at other times of the year. Please phone or email for short break prices or if you have any queries. "The most comfortable & clean house we’ve ever stayed in, and it’s made our holiday a delight. Thank you so much for your thoughtfulness." "Excellent cottage, lovely town. Hope to come back. Thank you." "House extremely well-equipped, spotlessly clean, very welcoming. Excellent location. Would visit again. Thank you." "A beautiful cottage. Excellent location. The accommodation was superb and the homely touches were appreciated." "The cottage was so comfortable, a great situation so no need to use the car. Brilliant!" "We have enjoyed our stay so much in your lovely Stratford house with its pretty garden. We are sorry to leave your house, Stratford & the area. Thank you for everything." "The house is perfect, everything so well thought out. It is so convenient for walks into both town and countryside. We’ll be back!" 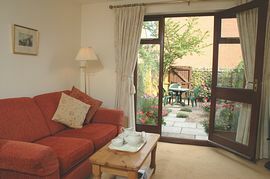 "We have really enjoyed our stay in your lovely holiday home. 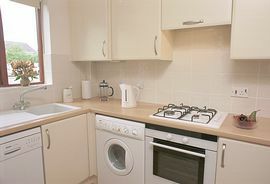 The high standard of comfort & cleanliness combined with the close location to Stratford town guarantee a perfect break. Thank you for all your efforts and the thoughtful touches you have included."